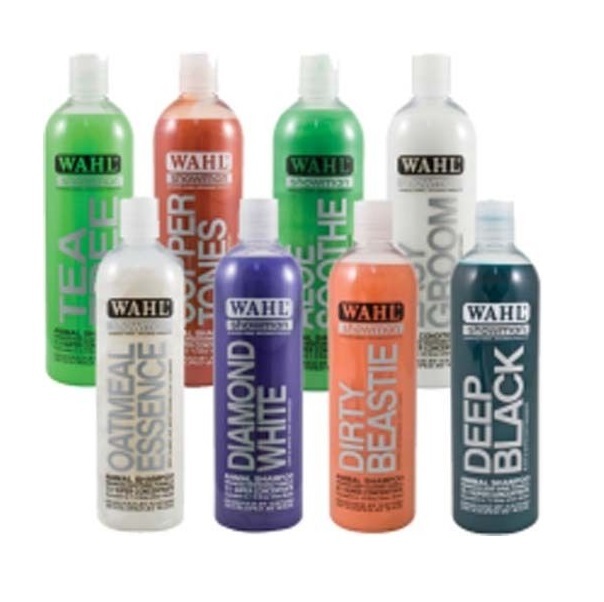 Concentrated Animal Shampoo and Conditioner from the Wahl Showman Range. 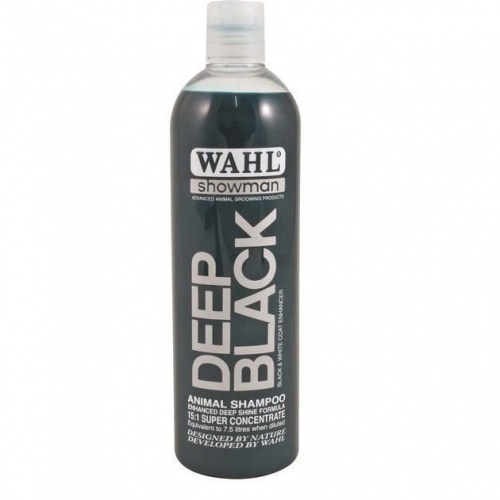 Formulated for all animal hair types including dogs, horses, cattle, goats, llama, alpaca, rabbits and ferrets. 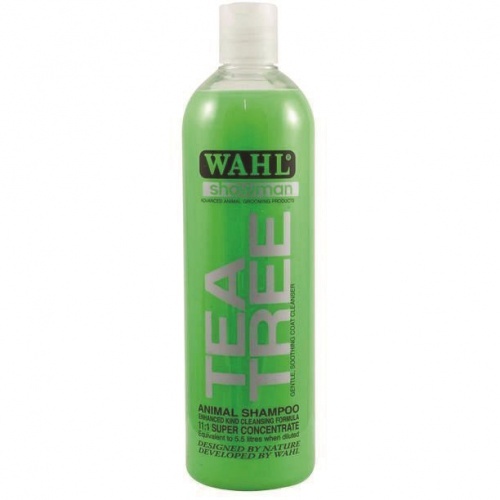 Contains no harmful detergents or cleansers, The perfectly balanced formula effectively removes dirt, grease and stains whilst promoting healthy, glossy results everytime. 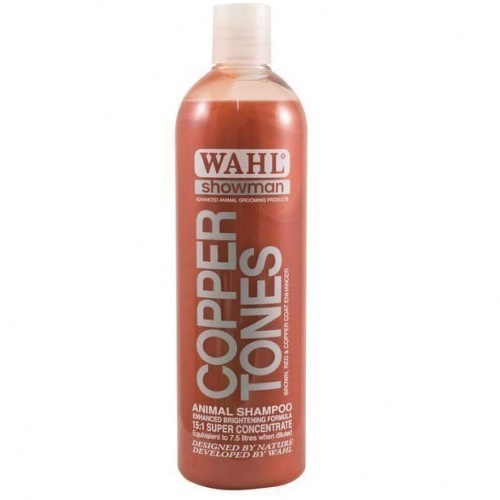 Copper Tones: Concentrated 15:1 Extracts Peach, Pear, Passion Flower and Kiwi fruit. For red, brown and copper coats. 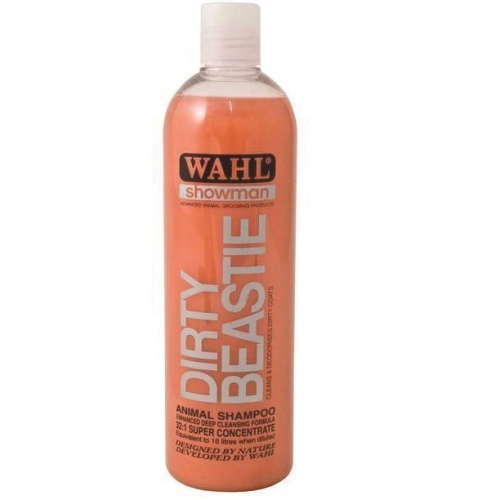 Dirty Beastie: Concentrated 32:1 Extracts Peach, Pear Passion Flower & Kiwi fruit for all coat colours and will effectively cleanse dirty, thick or matted coats and deodorise even the smelliest creature. 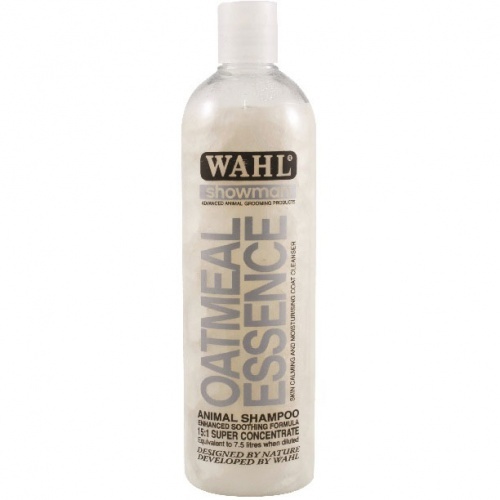 Oatmeal Essence: Concentrated 15:1 Extracts Coconut, Oat protein & Sweet Almond Oil skin calming and moisturising coat cleanser can be used on sensitive skins, it also reduces itching. 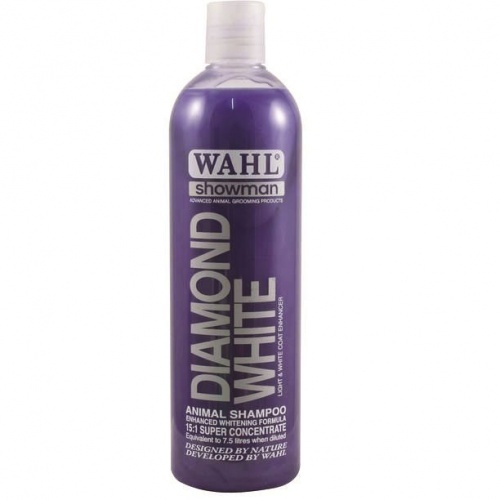 Diamond White: Concentrated 15:1 Extracts Cucumber, Passion Flower, Lemon & Lime produces exceptional results on white and light coats. 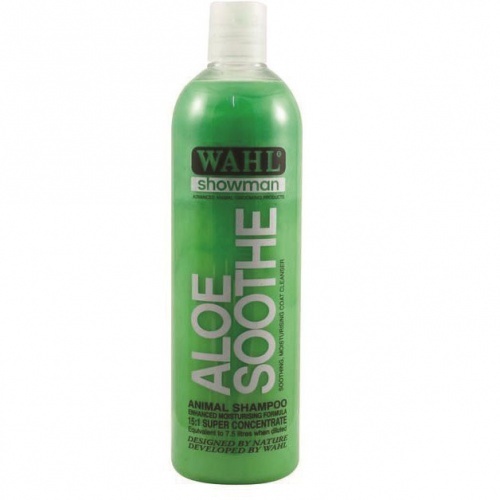 Aloe Soothe: Concentrated 15:1 Extracts Aloe Vera, Avocado, Coconut & wheat designed to calm skin irritations as it cleans. 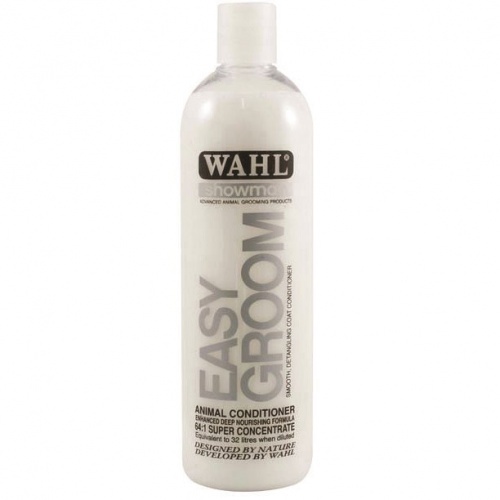 Easy Groom Conditioner: Concentrated 64:1 All natural ingredients with added vitamin E protects and conditions the coat leaving it smooth, silky and easy to manage.